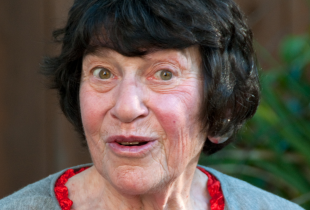 Lynn Ruth Miller started comedy at 71. She made it to Las Vegas in America’s Got Talent, 2008, won People’s Choice in 2009 Branson Comedy Festival, the finals in Bill Word’s Funniest Female Contest 2009 and semi-finals in the SF International Comedy Competition , the top 100 in Britain’s Got Talent not to mention winning both nights for the Texas Burlesque Festival without taking off anything that matters. 2014 TO&ST winner: best cabaret Edinburgh Fringe. And is at 80 is still going strong.